Possibly Flower Carpet gone mad. 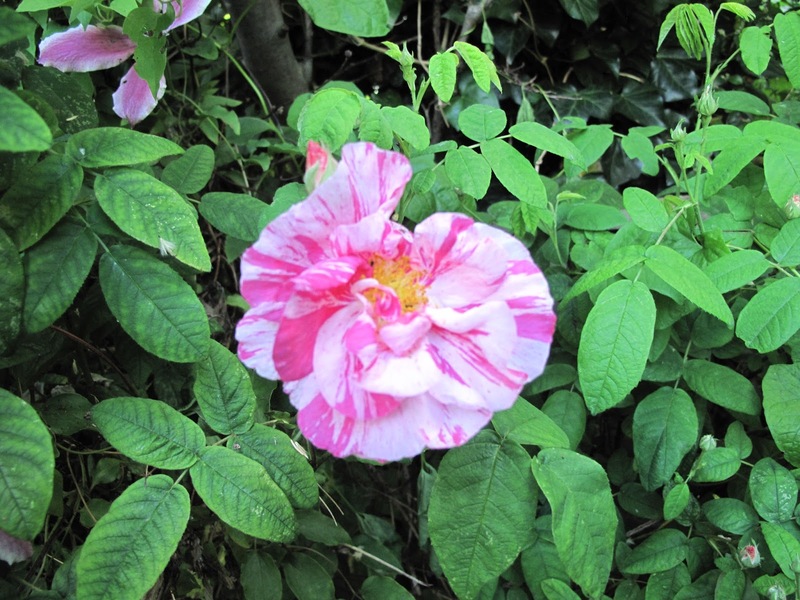 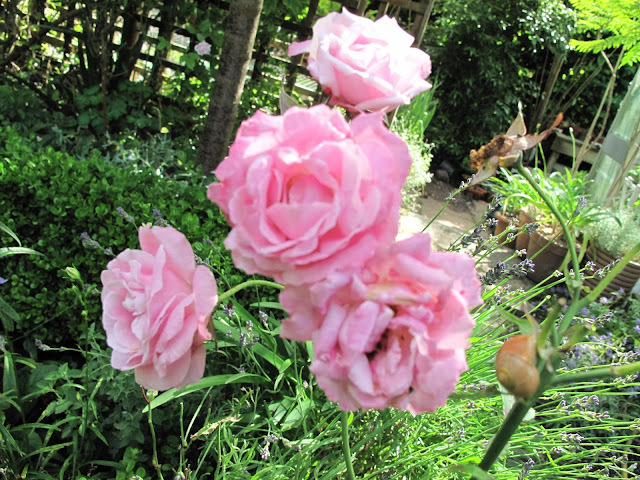 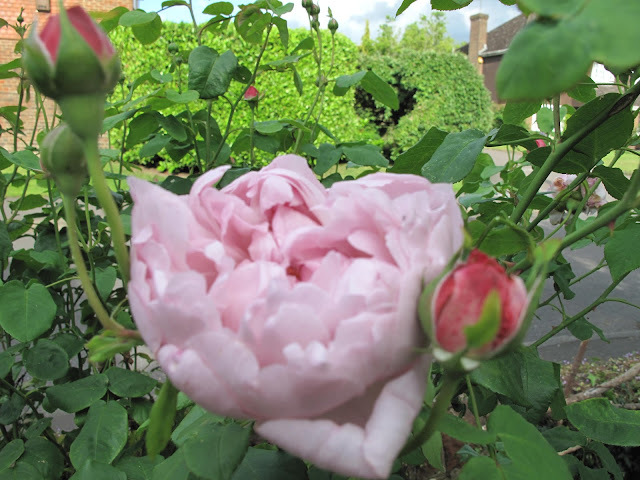 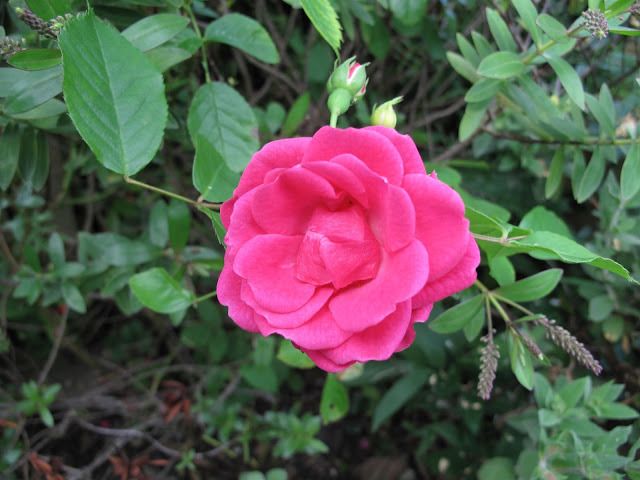 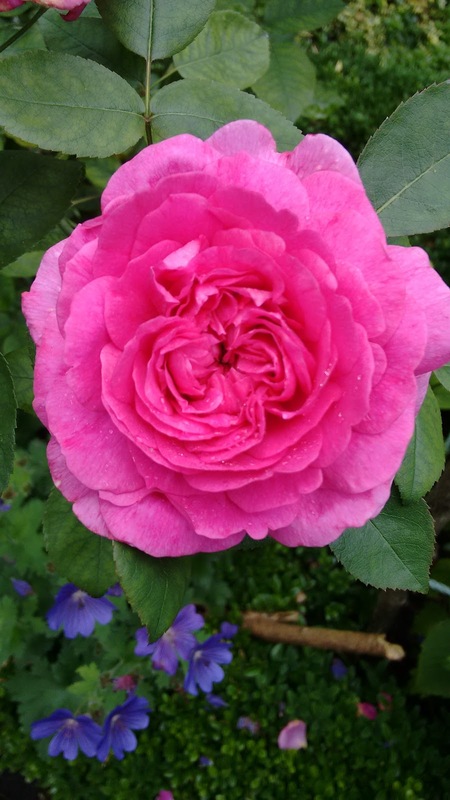 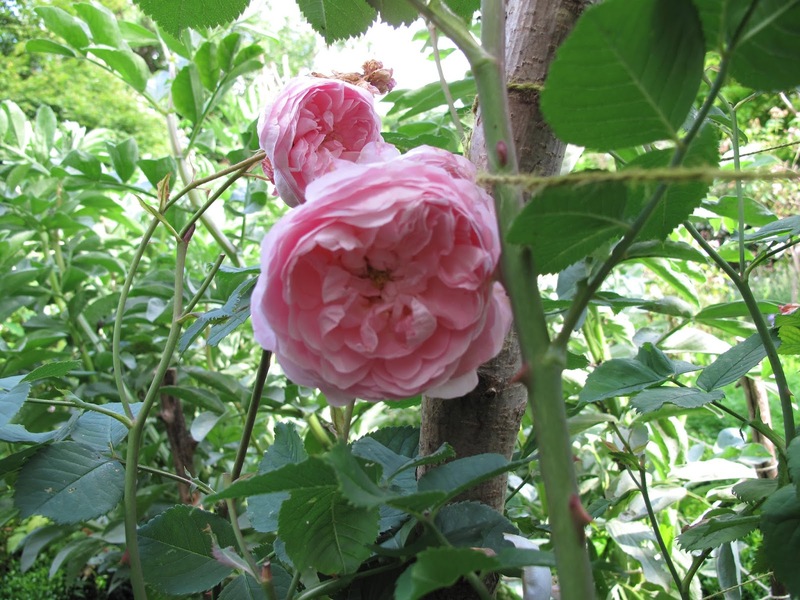 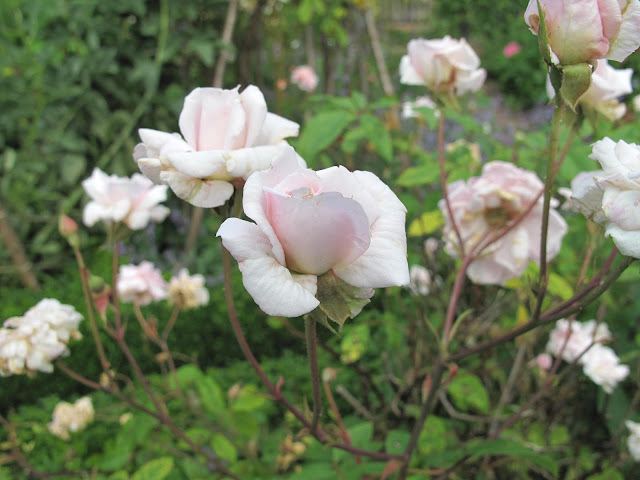 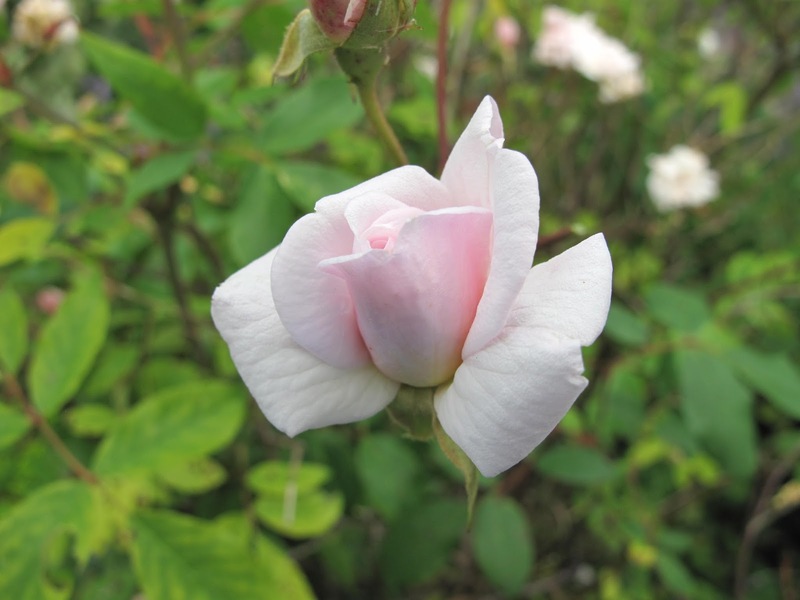 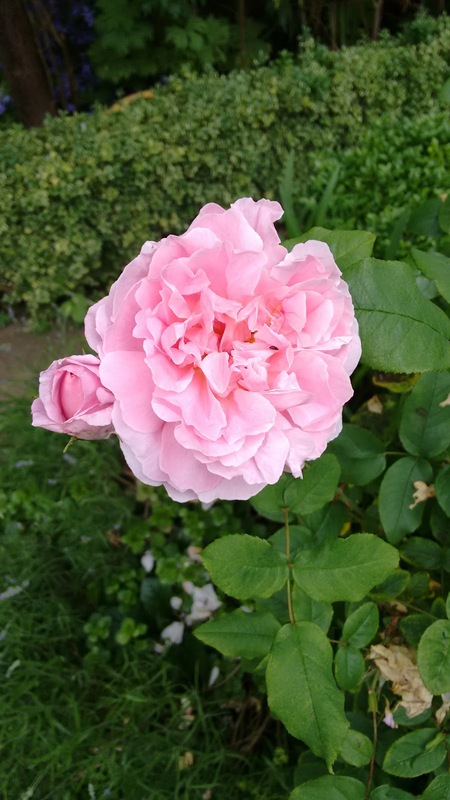 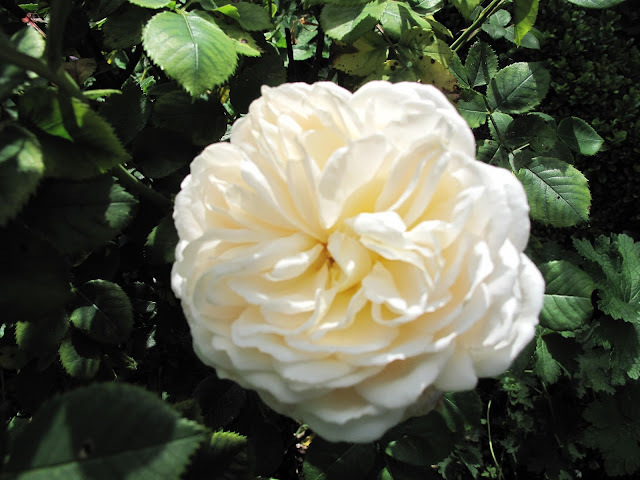 Most of my roses came from David Austin roses although some are from cuttings. 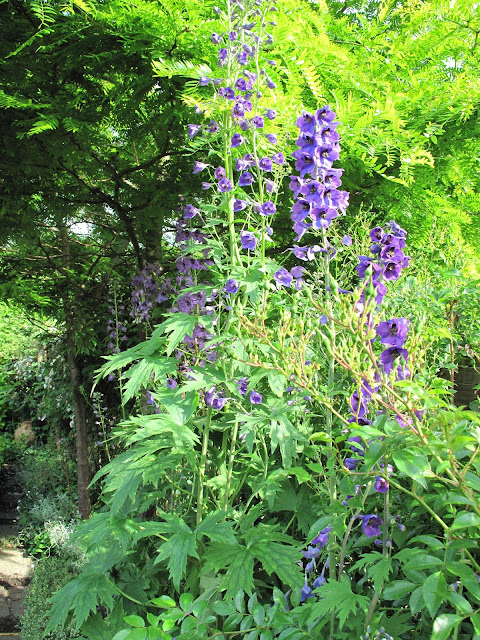 Don't you just love Delphiniums these days I grow them in a small border and they perform very well although vie for space with a Saunders White Rambler and several Clematis with a large cooking apple tree to the right of the photo, a beautiful Gleditsia to the left of the photo and variegated Box along the front of the border. In early spring I weed and dress the bed with grit and slug pellets. 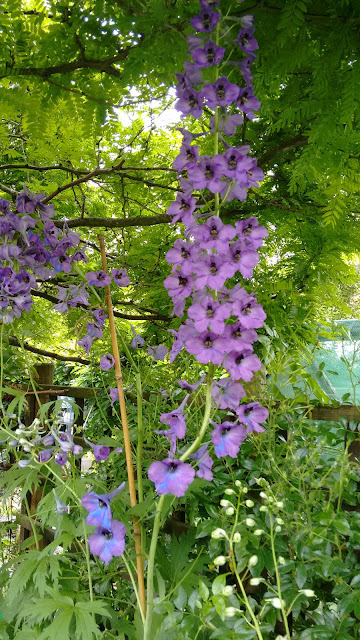 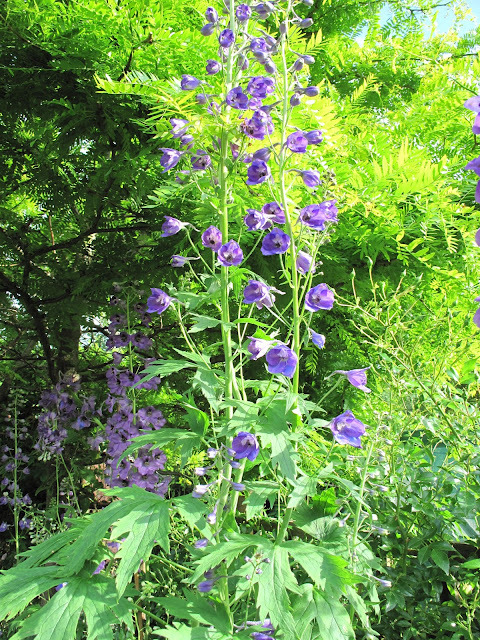 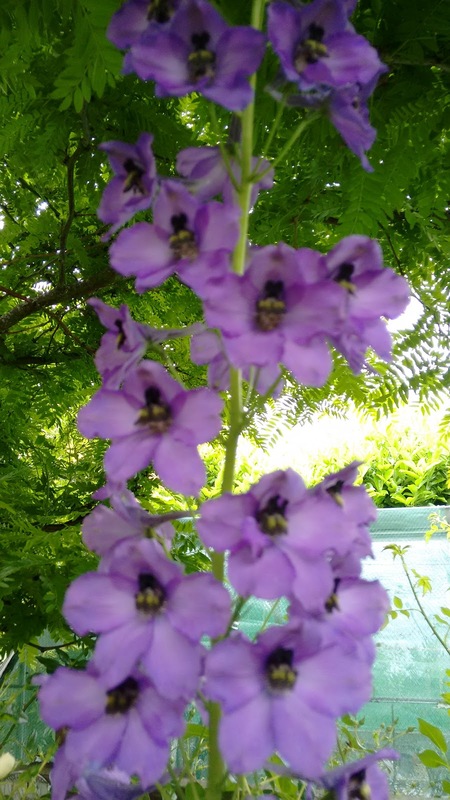 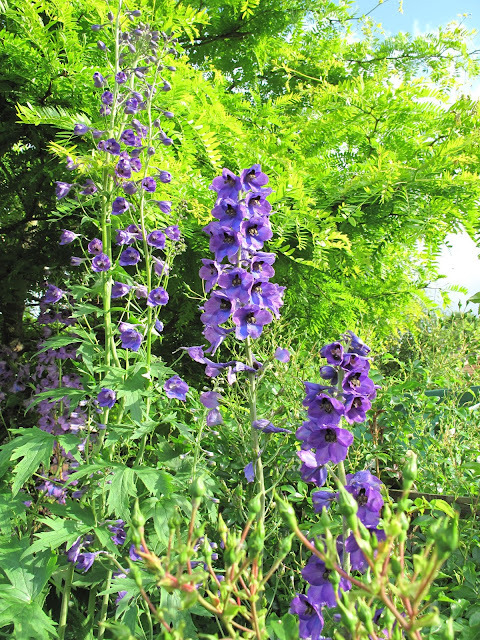 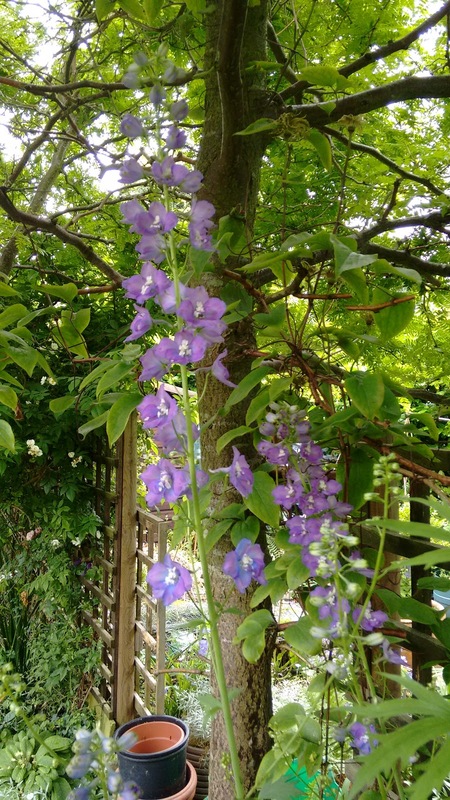 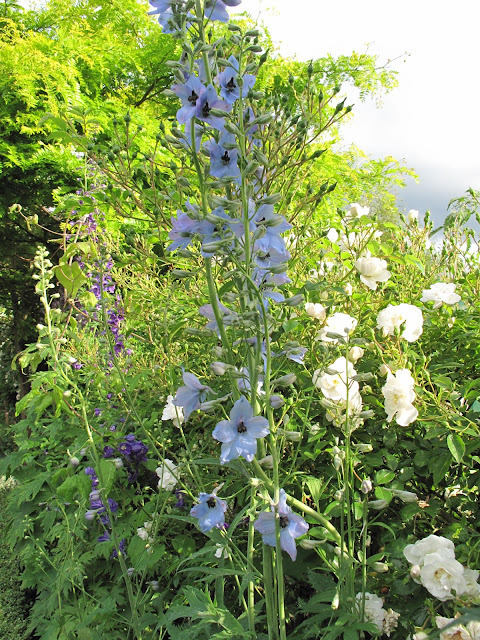 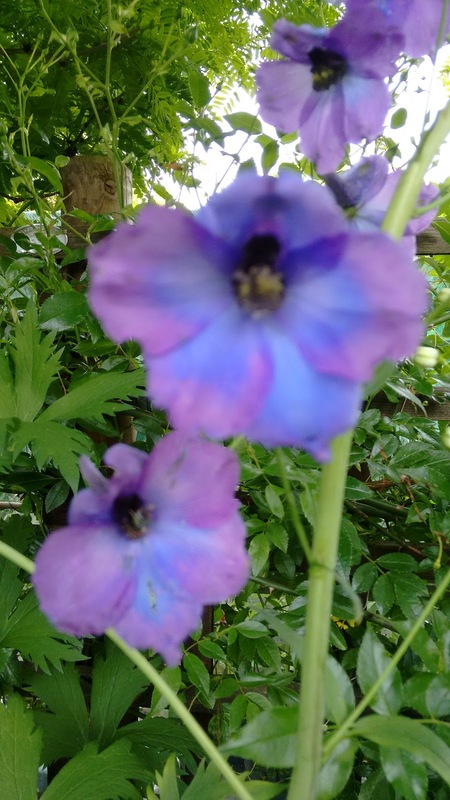 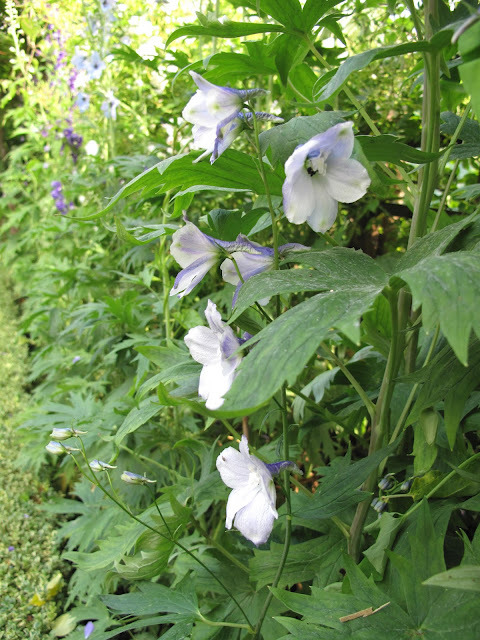 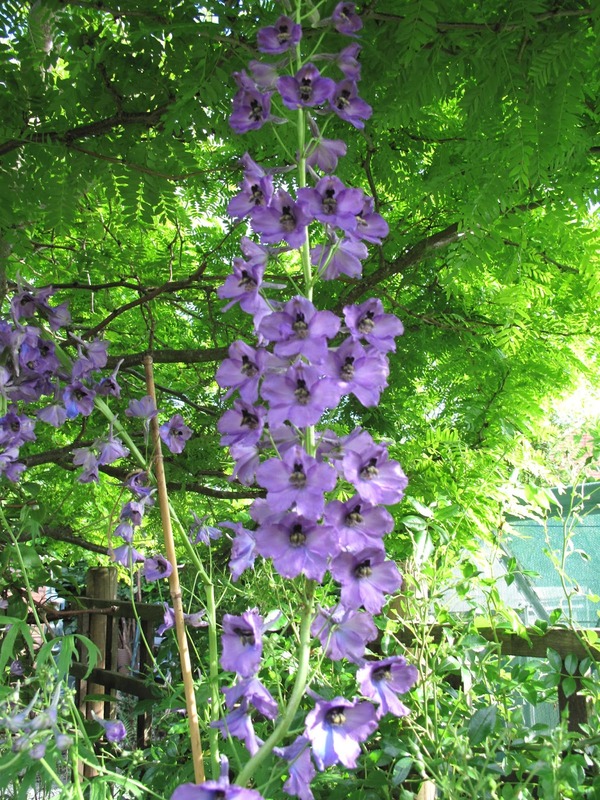 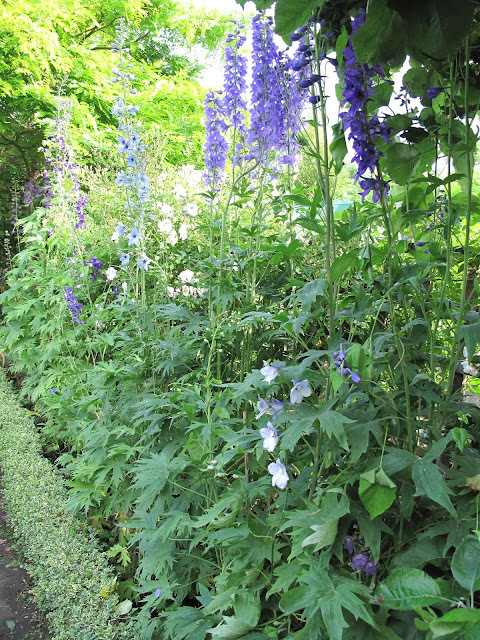 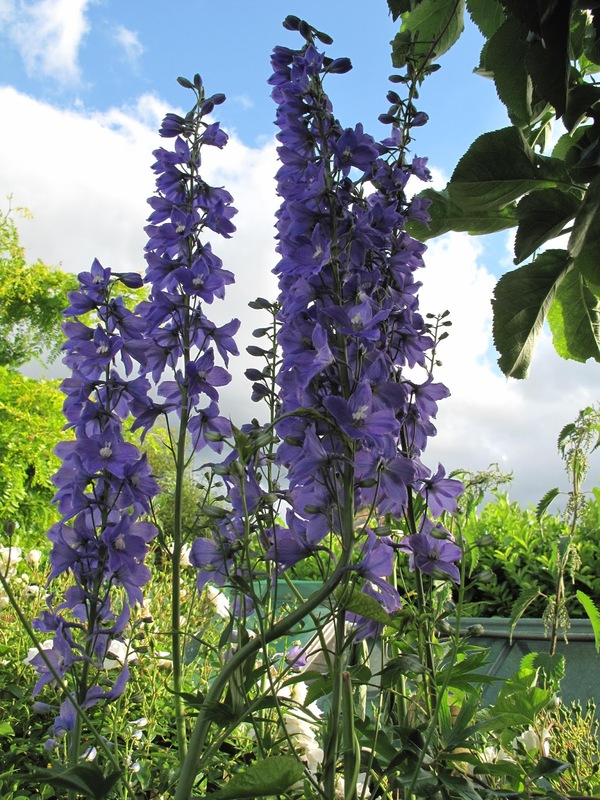 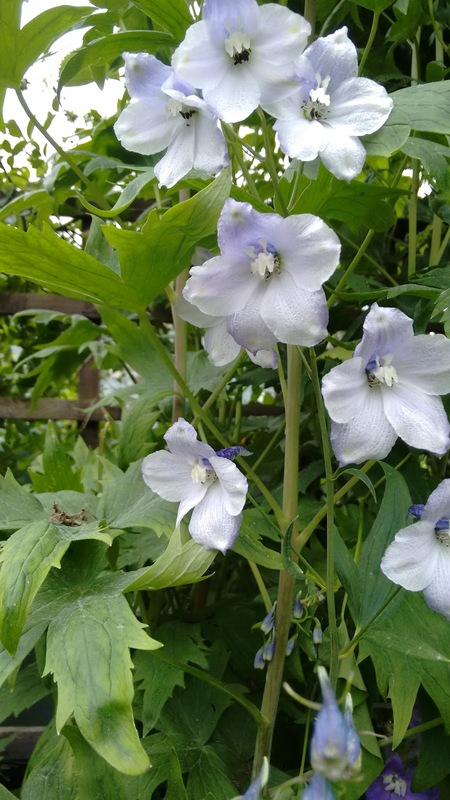 I was encouraged to grow Delphiniums years ago when I had an allotment next to someone who grew them for show. He had half an allotment of Delphiniums. 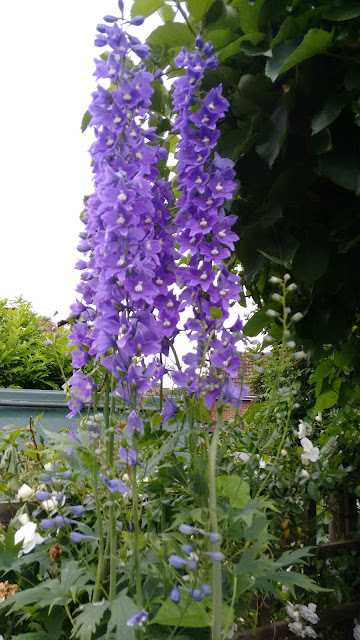 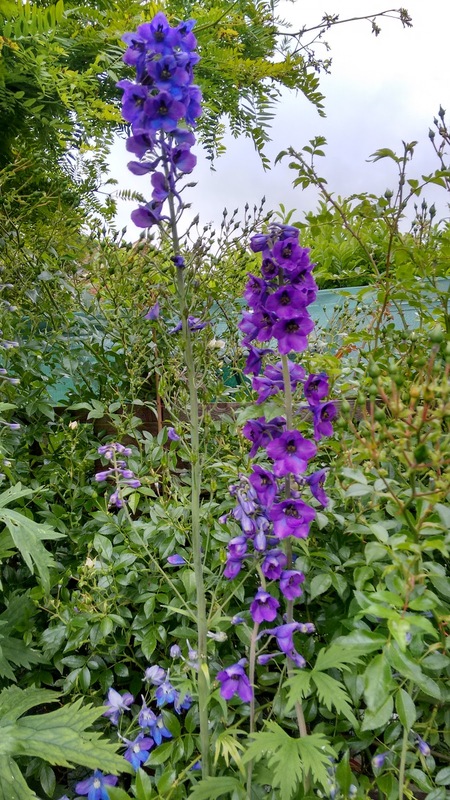 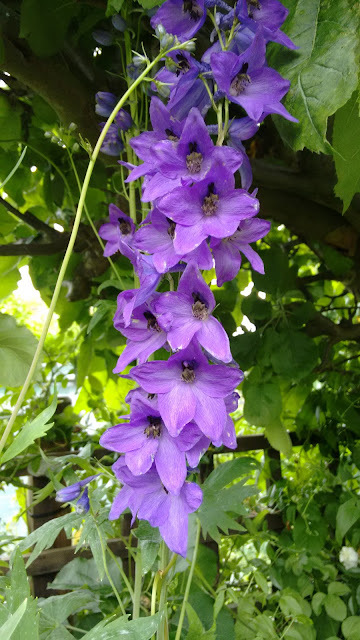 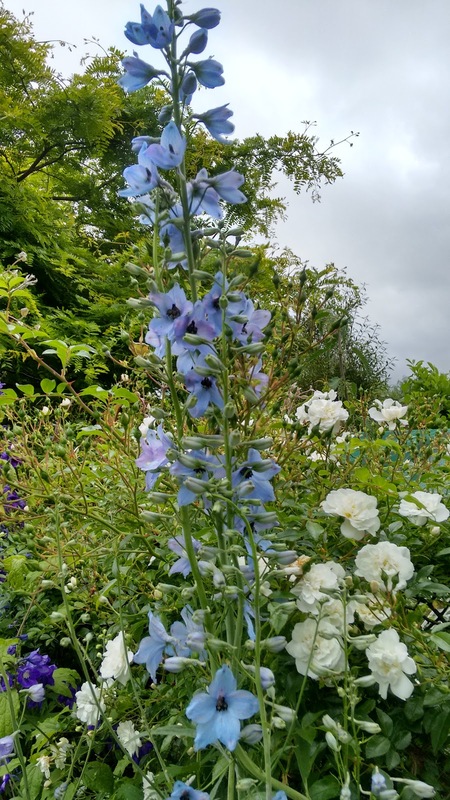 In June it was like being in heaven and i can't think of Delphiniums without being reminded of him his allotment and the thought of Dreaming Spires. 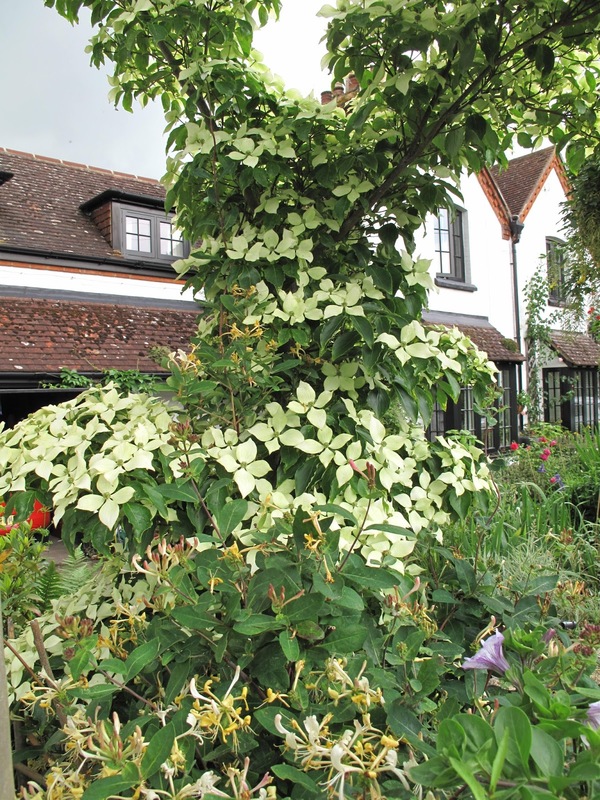 Cornus Kousa Chinensis gives a wonderful display and because these are bracts they last so much longer than flowers. 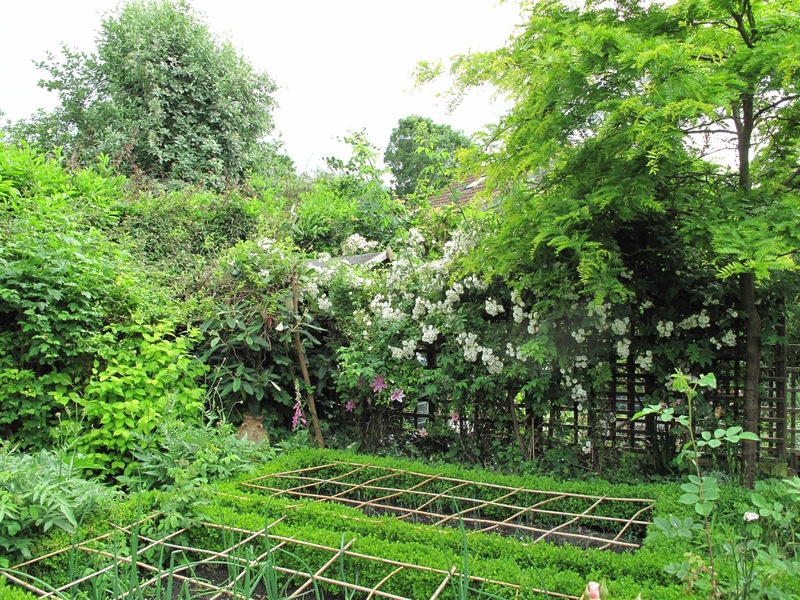 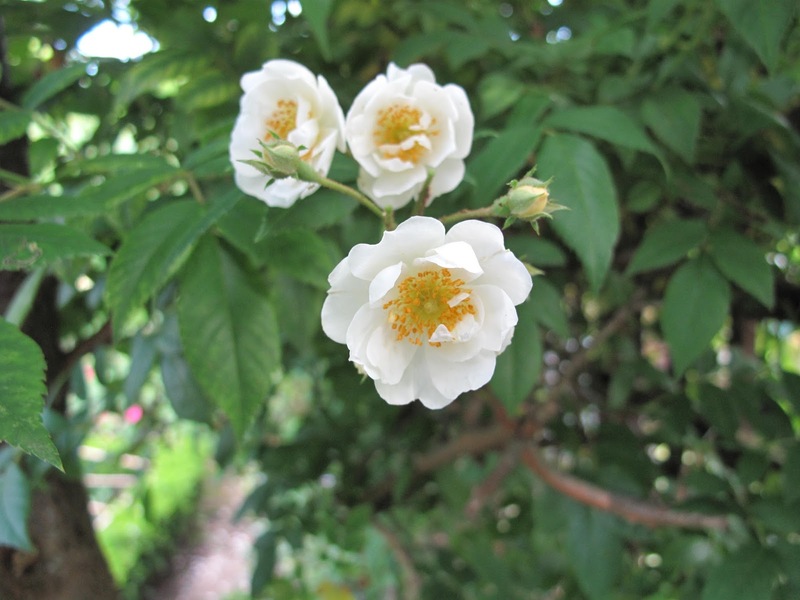 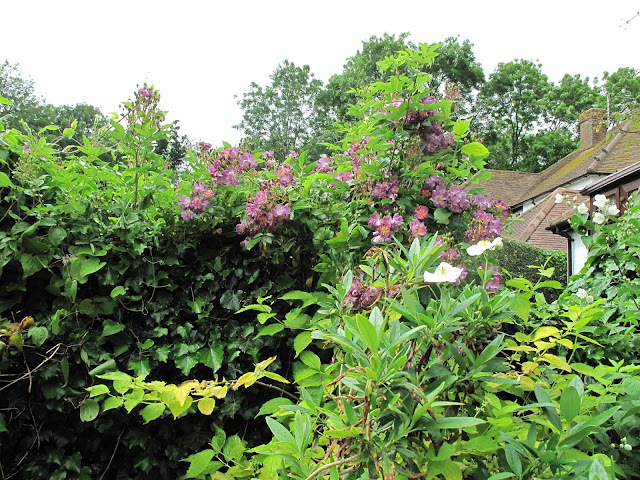 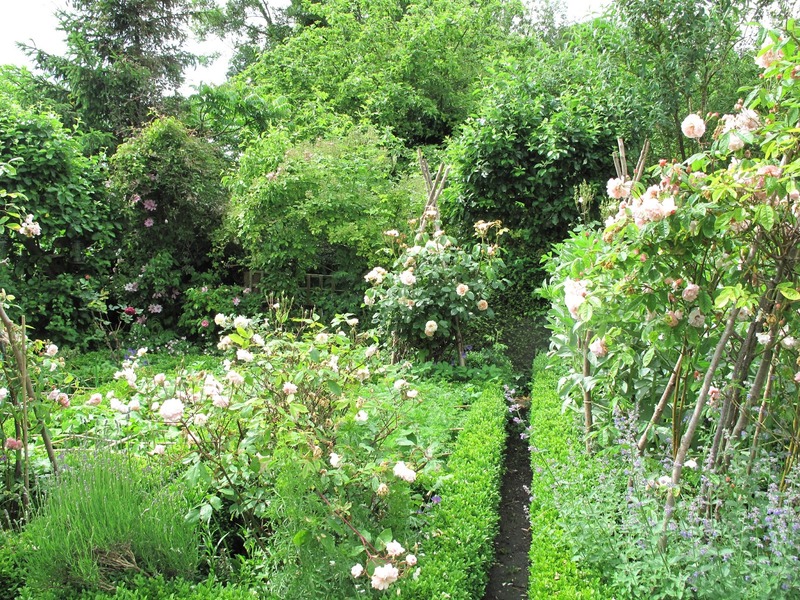 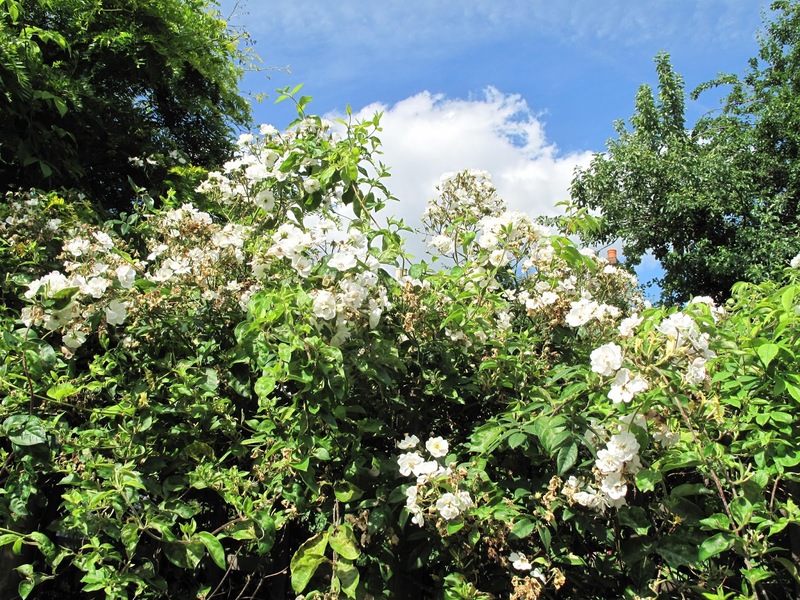 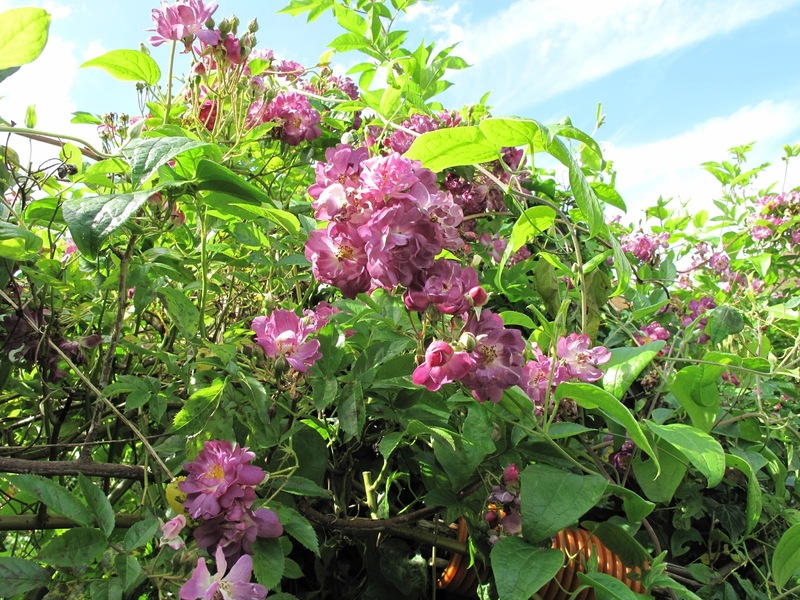 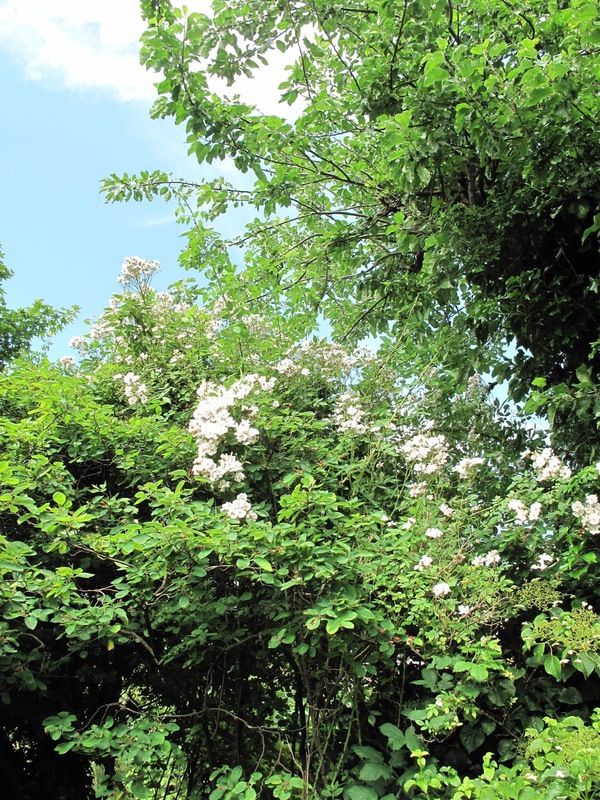 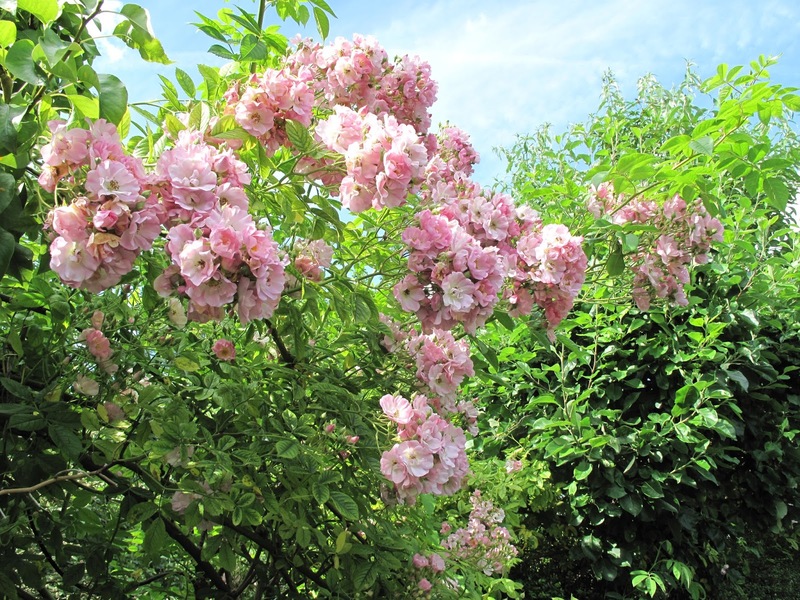 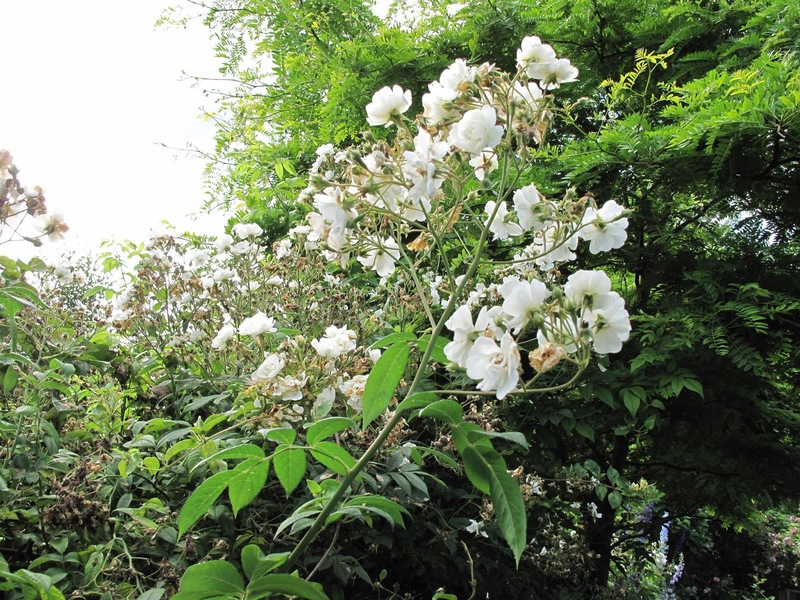 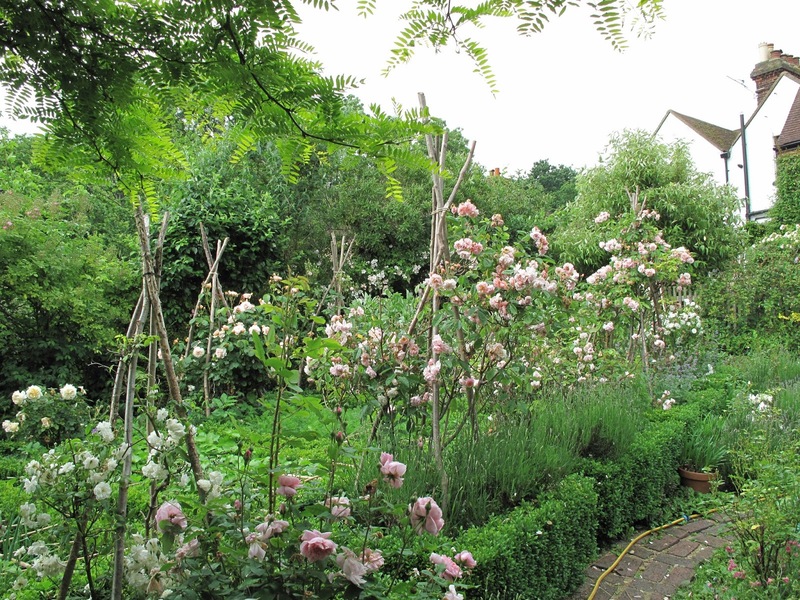 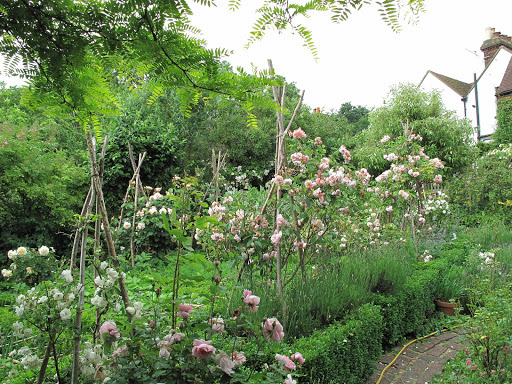 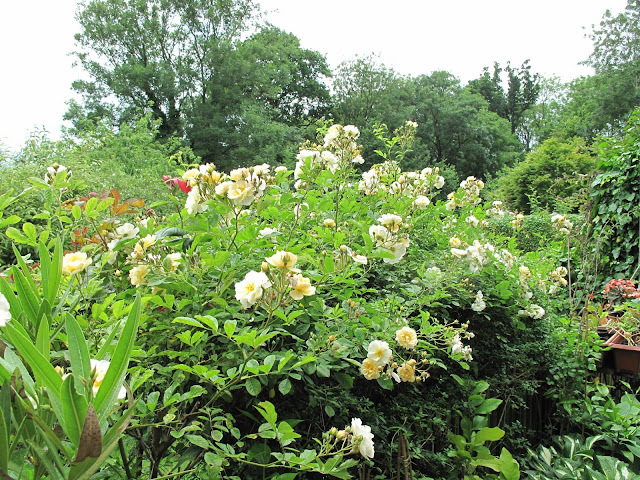 Rosa Officinalis left foreground, Rambling Rector on the fence left bottom. 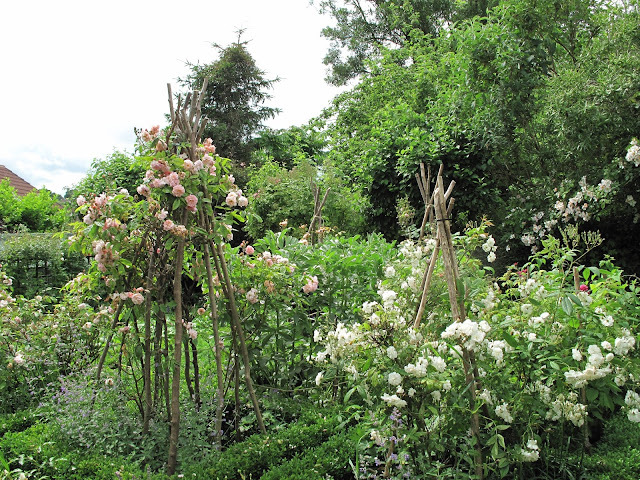 Left Francine Austin, Cornelia, Cecile Brunner, Cornelia and Francine Austin. 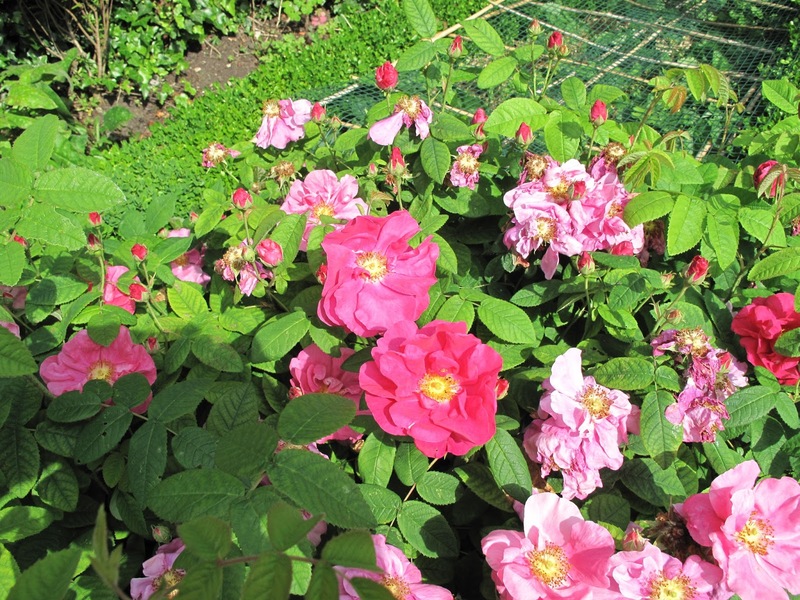 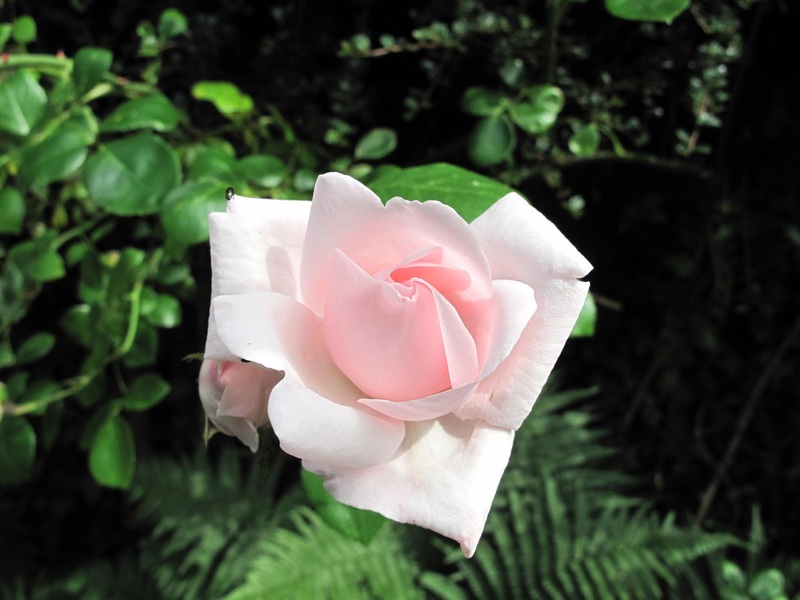 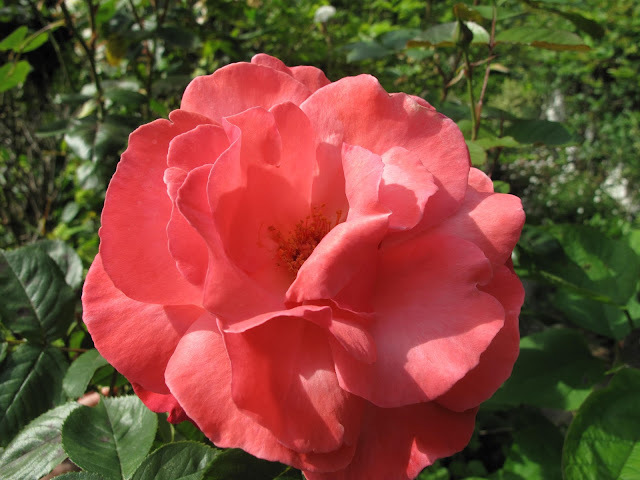 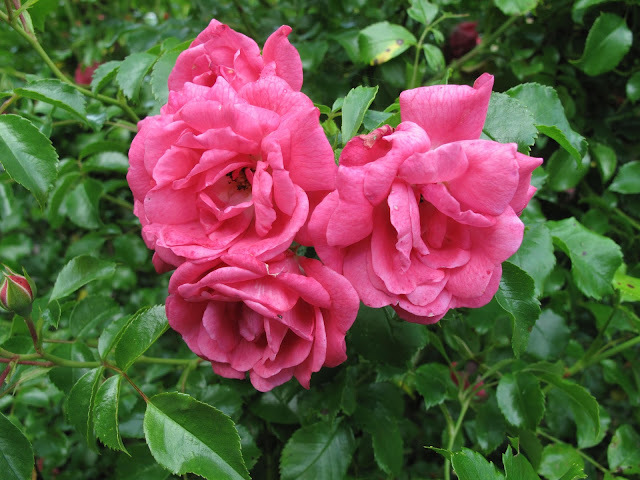 The first three are grown from cuttings and strike very easily. 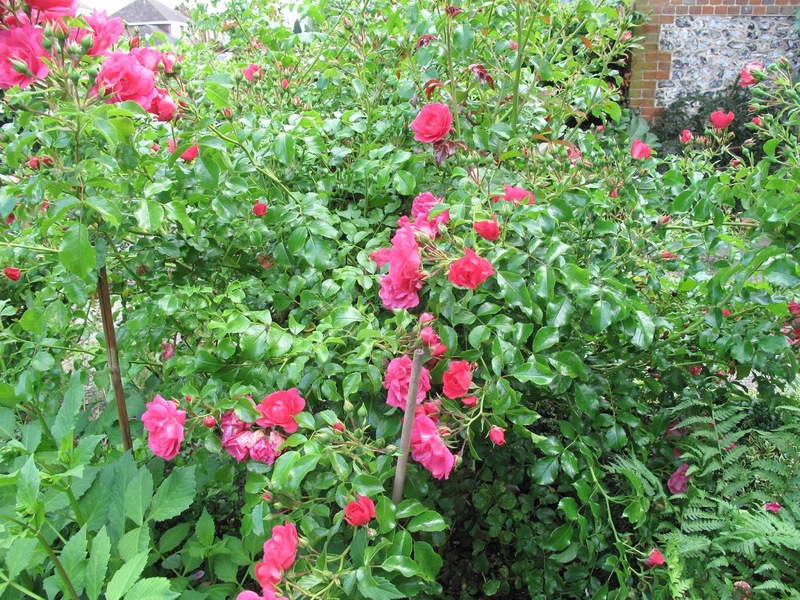 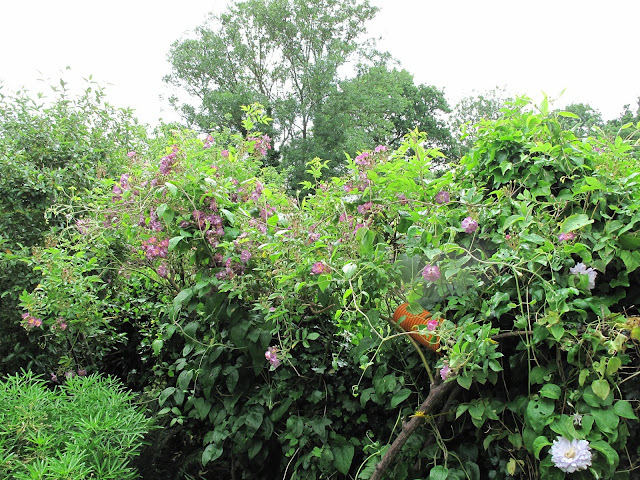 The pink in the left foreground is Cottage rose which I have also managed to take cuttings from. 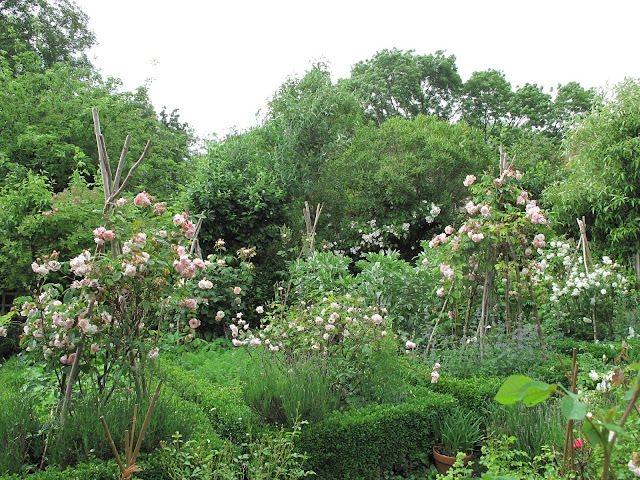 Looking across the garden with the woods in the background. 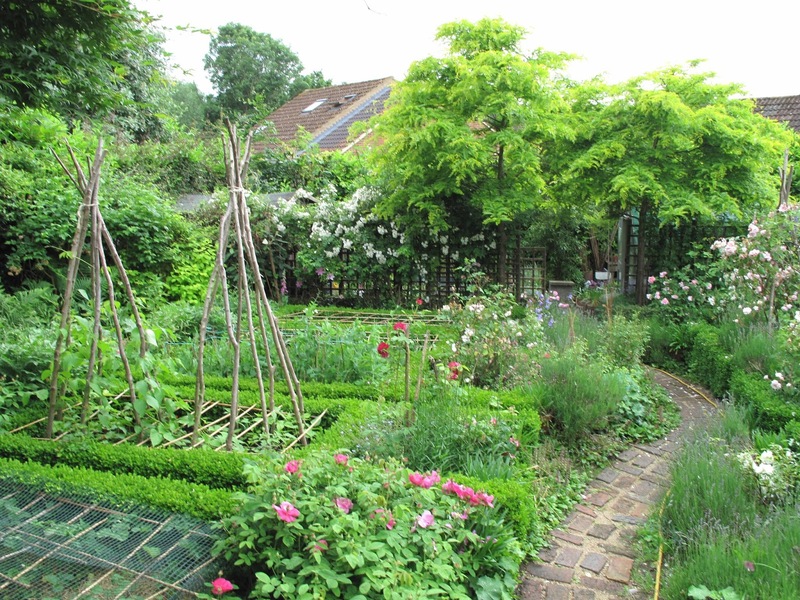 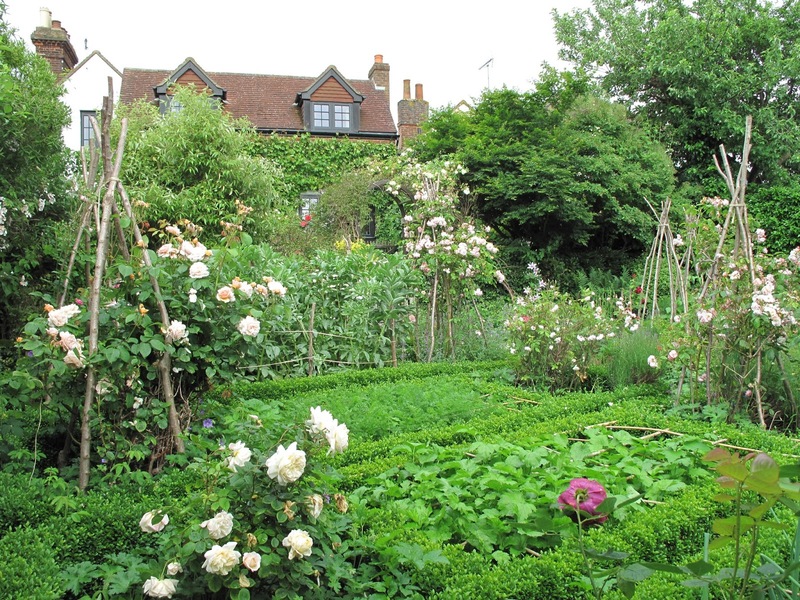 Looking diagonally up the garden with Crocus rose left foreground Sweet Juliet above that which grows so sturdily we use the tripods to support it. 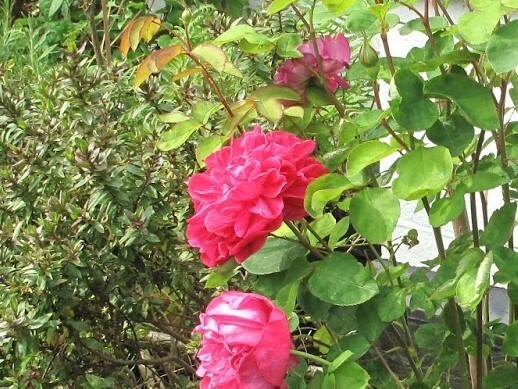 Bottom right is a sneak peak of Falstaff. 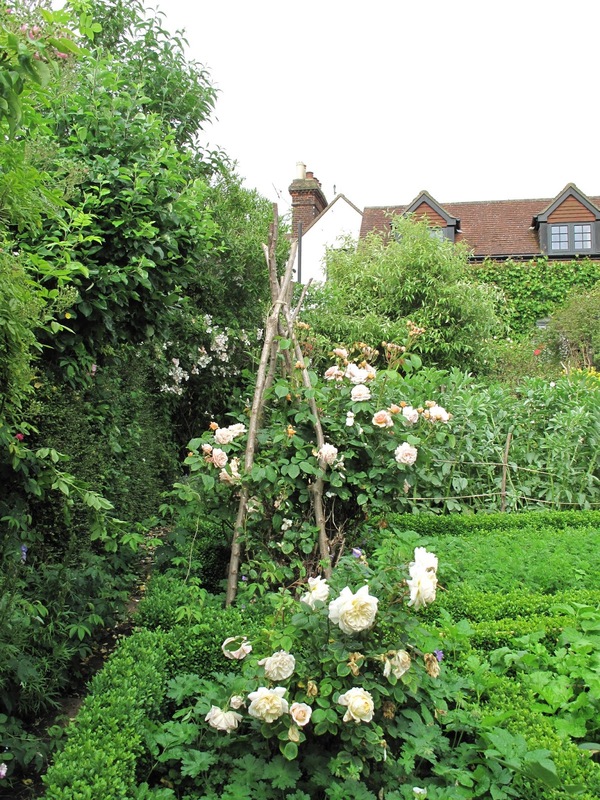 With Parsnips, carrots and broad beans. 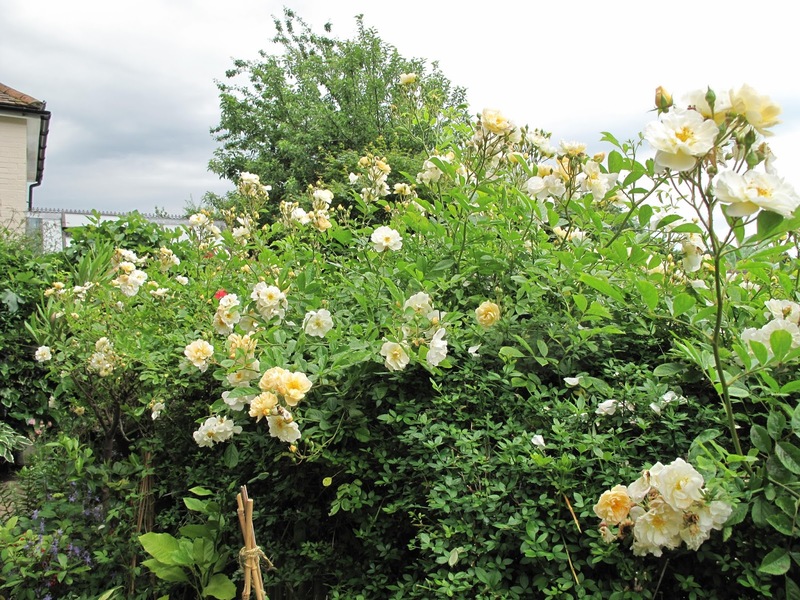 Another glimpse at a slightly different angle with Francis E Lester Rambler in the left background. 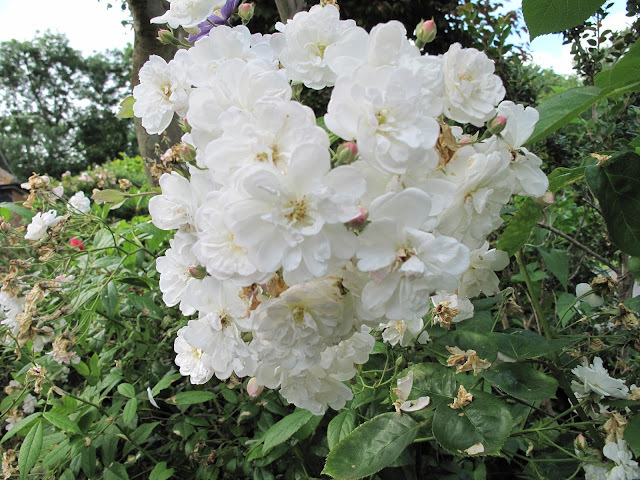 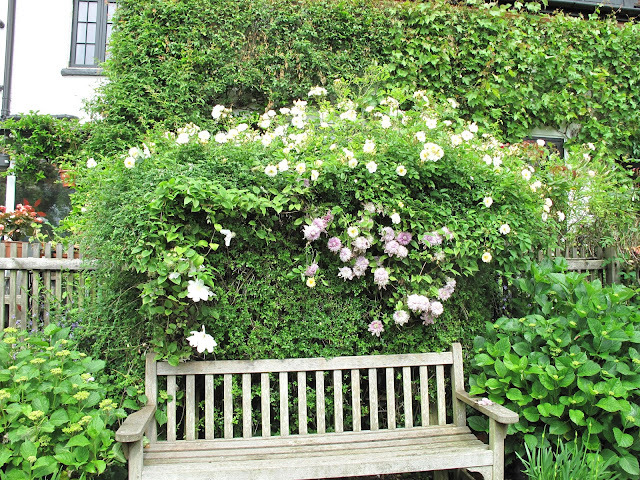 Rambling Rector with Clematis Pink Fantasy. 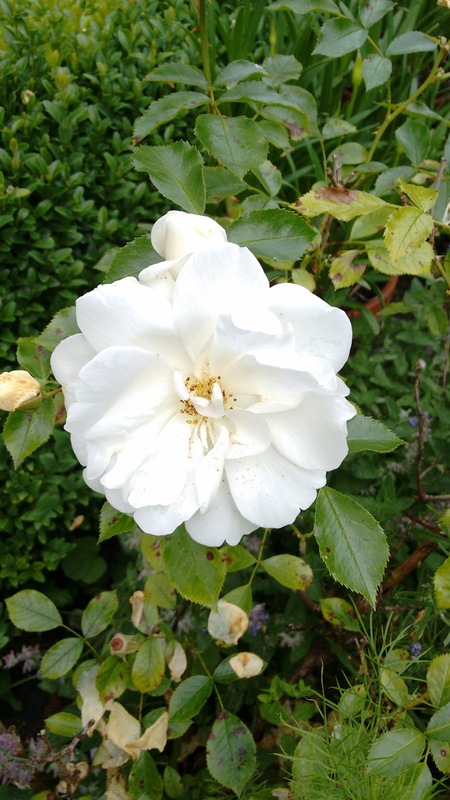 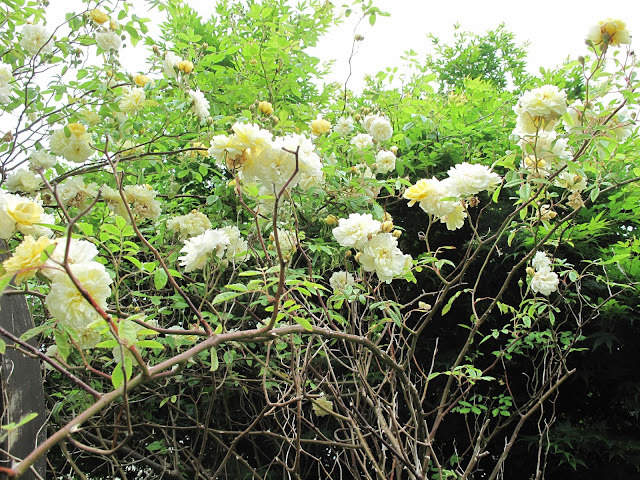 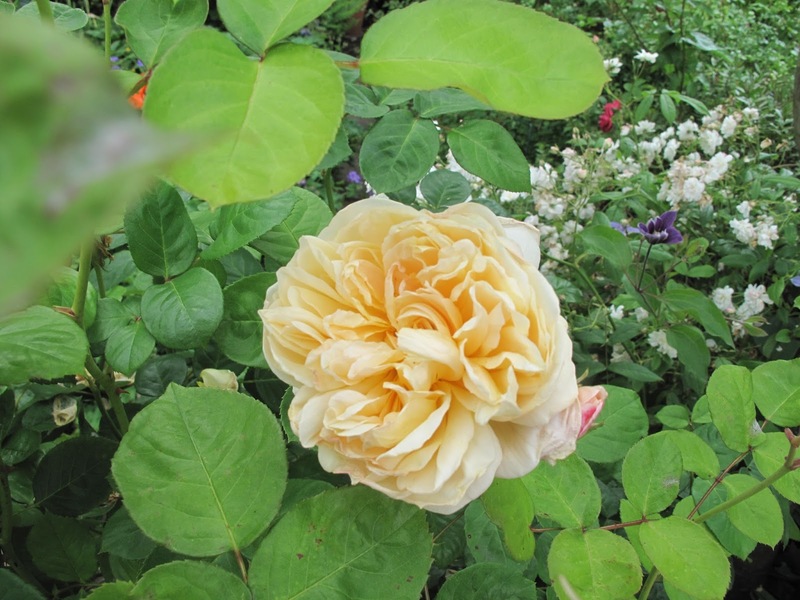 Goldfinch rose in the hedge above Marie Boisselot left and Josephine clematis. 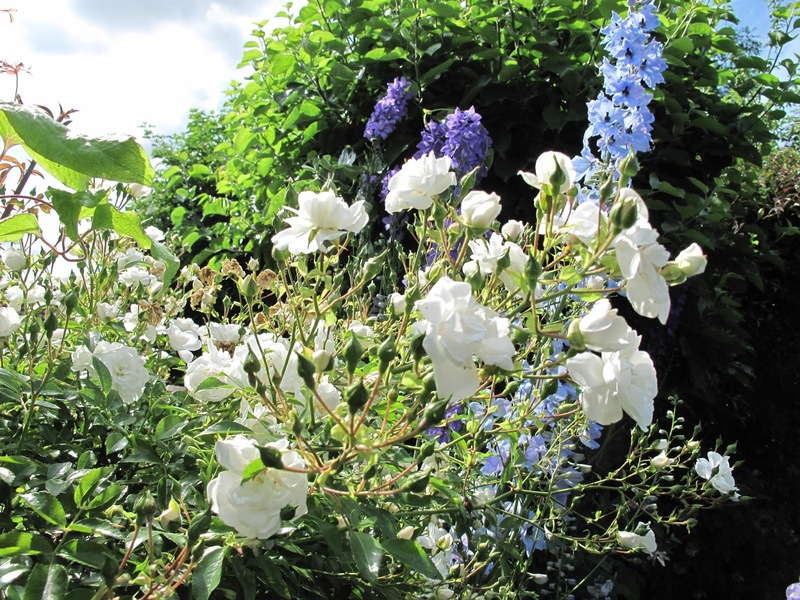 Veilchenblau rambler with two flowers on my Carpenteria California and mock orange to the right of that. 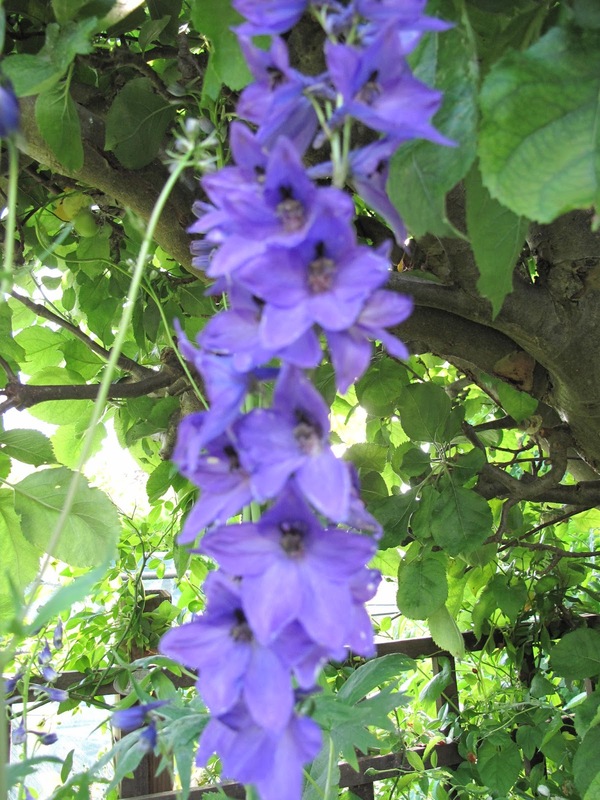 Veilchenblau with clematis Perle d'azur clematis scrambling through it. Another view of Rambler Goldfinch. I decided to post these photos at this size because enlarging them seems to loose the detail or definition with the small blooms. 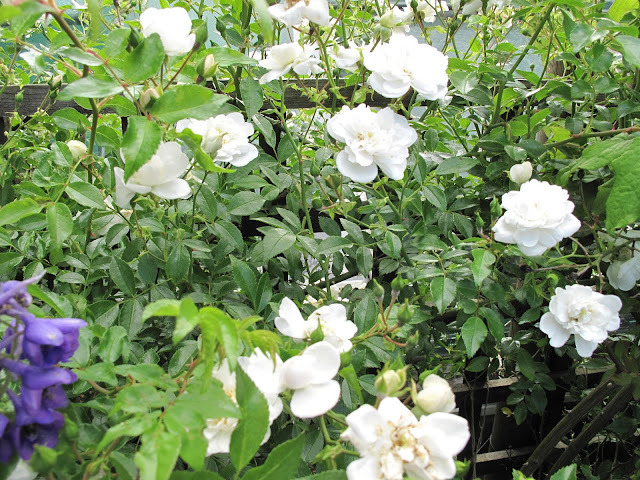 Labels: Carpenteria California, Clematis, Cornus Kousa Chinensis., Roses.